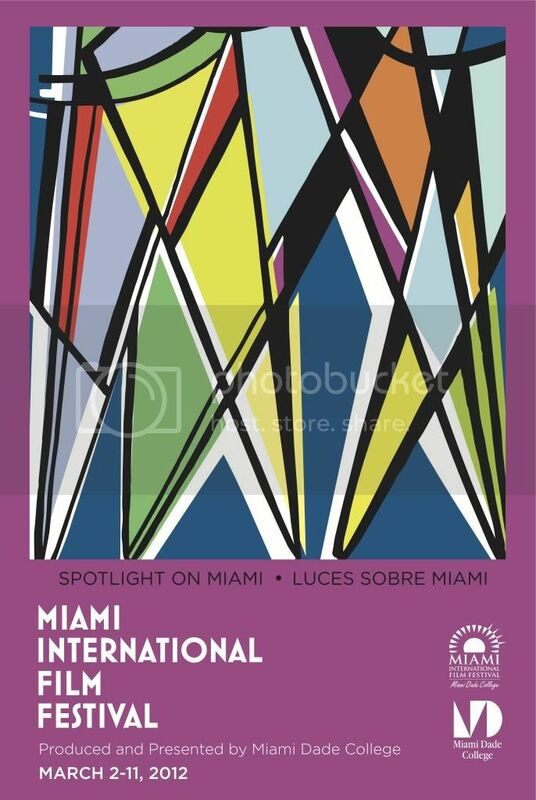 Miami, FL – July 26, 2011 — The Miami International Film Festival (MIFF), produced and presented by Miami Dade College, has selected world-renowned Barcelona-based designer Javier Mariscal as the poster artist for its 29th edition, which will run March 2-11, 2012. Mariscal was the co-creator of MIFF 2011’s opening night film, the animated hit musical Chico & Rita. For the 2012 MIFF poster, Mariscal created an abstract, Art Deco-inspired vision meant to evoke the glamorous, golden years of the film industry. The intersecting beams of light could be the searchlights outside a movie premiere at an old-time movie palace, or possibly the light beams of projectors as they beam the images of the stars onto the movie screens. “Javier’s image is a true original and makes a unique addition to the 29 years of MIFF official images,” said MIFF executive director Jaie Laplante. Mariscal was born in 1950 in Valencia, Spain and, since 1971, has lived and worked in Barcelona. The two Mediterranean cities have been the inspiration for the color, light and character present in all his work, and Valencia in particular reminds Mariscal of Miami’s tropical setting. As a great interdisciplinary designer, Mariscal is able to wear several hats, one for each activity. As a designer of objects, his work includes “Cobi,” the mascot for the 1992 Barcelona Olympic Games. He has worked for companies like Moroso, Alessi, Lalique, Magis, Camper, Phaidon and Uno Design. He also created “Twipsy,” the mascot for the 2000 Universal Exposition in Hanover and a cartoon series starring the mascot, which was shown in more than a hundred countries. As an interior designer, Mariscal recently designed the new H&M flagship store in Barcelona, the Gran Hotel Domine in Bilbao and one of the floors of the Hotel Puerta América in Madrid. In 2009, Mariscal presented a retrospective exhibition in the Design Museum of London, as well as two monographic books about his work, Mariscal Drawing Life (Phaidon) and Sketches (Nova Era). Earlier this year, his full-length animated film Chico & Rita jointly directed with Fernando Trueba and Tono Errando, won the Goya Award for Best Animated Film from the Spanish Academy of Cinematic Art and Science, and in March became the first animated Opening Night Film in MIFF’s history. Details on the 2012 Miami International Film Festival program will be released in January 2012. Miami Dade College has a long and rich history of involvement in the cultural arts, providing South Florida with a vast array of artistic and literary offerings including The Miami Book Fair International, the Florida Center for the Literary Arts, the Cultura del Lobo performance series, The MDC Tower Theater Cinema Series, nine visual arts galleries including The Freedom Tower at Miami Dade College and the School of Entertainment and Design Technology, in addition to the renowned Miami International Film Festival. MDC is the largest institution of higher education in the country and is nationally recognized for many of its academic and cultural programs. With an enrollment of more than 174,000 students, MDC is the nation’s top producer of degrees. The college’s eight campuses and outreach centers offer nearly 300 distinct degree programs including several baccalaureate degrees. More at mdc.edu.